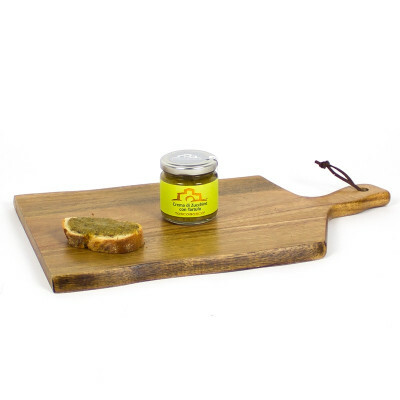 Ideal on canapé and bruschetta. Perfect also as pasta sauce. A Must Try! 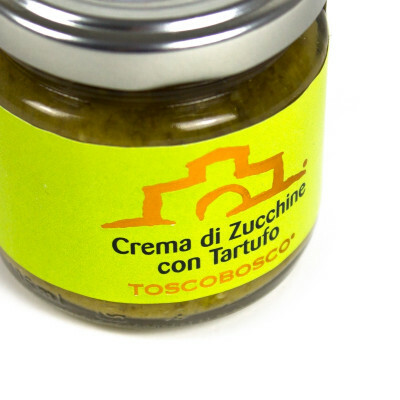 The power of Toscobosco is the one to be able to transfer to its products the pure and natural characteristics of the raw materials without any artificial alteration (unfortunately common in the market) always maintaining what Nature established. 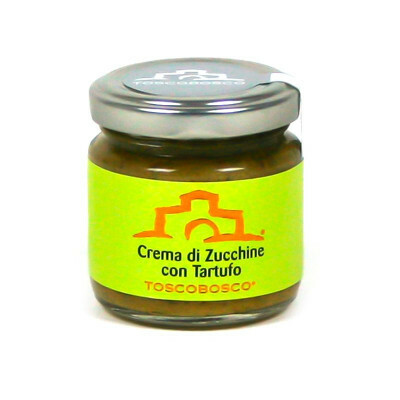 Zucchini 80%, extra – virgin olive oil, 5% truffle, parmesan, aromatic herbs, salt, flavorings, spices. MILK. 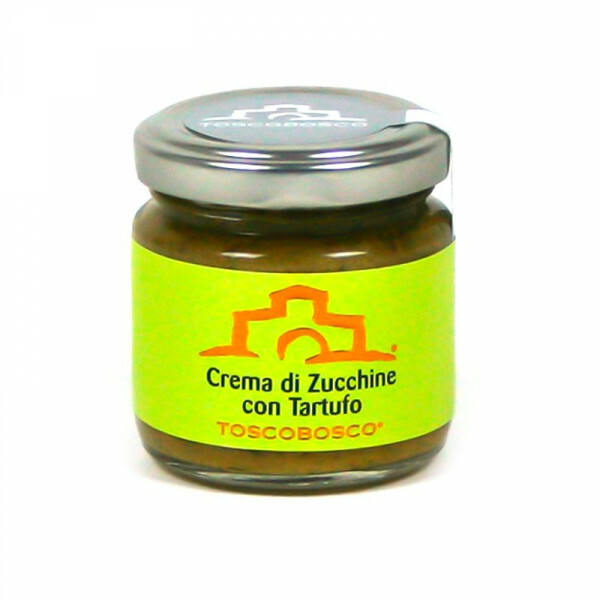 Once opened keep refrigerated and consume within a few days.